Oakland County Farmers Markets 2019 – Oakland County Michigan Farmers Markets dates info, location info, website links and contact info. Oakland County, Michigan is home to several farmers markets through many different Oakland County communities that promote healthy eating, fresh flowers, Michigan Made goods, and healthy living. Auburn Hills Farmers Market 2019 – Auburn Hills won’t be hosting a Farmers Market for 2019. Questions? Contact Stephanie at 248-364-6802. Birmingham MI Farmers Market 2019 – Birmingham Farmers Market is open every Sunday from May 5 through October 27 from 9a-2p. Clarkston Area Farmers Market 2019 – Open Saturdays from 9a-1p June 8 through October 12. Clawson Farmers Market 2018 – Flower Day is May 19 – 2019 Sunday Summer Park Market will be held on five Sundays between the hours of 9a and 1p on May 19, June 9, July 14, August 11 and September 8th at the Clawson City Park. Farmington Farmers Market 2019 – Saturdays from May 18 through ? from 9a-2p. Holly Farmers Market 2019 – Open Sundays, 10a-2p from May 12 through October 13. Northville Farmers Market 2019 – Market hours are from 8a-3p Thursdays from May 2 through October 31. Rochester Farmers Market 2019 – Open Saturdays from 8a-1p from May 4 through October 26. South Lyon Farmers Market 2019 – Open Saturdays May 4 through October 26 from 9a-2p. Franklin Farmers Market 2019 – Operates on Sundays from 11a-3p from May through October (NO MARKET ON MEMORIAL DAY WEEKEND). Walled Lake Farmers Market 2018 – Open Wednesdays May 1 through October 30 from 7a-1p. 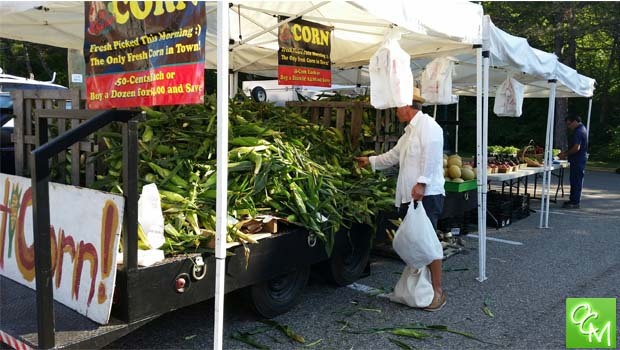 Oakland County Farmers Market 2019 – Open Tuesdays, Thursdays, Saturdays May through December from 7a-1:30p. January through April from 7a-1:30p Saturdays only. More Oakland County Farmers Markets 2019 Info as it’s released! All research and formatting for this Oakland County Farmers Markets 2019 page provided by Oakland County Moms. Unauthorized duplication of this content without express consent is a violation of our Terms and Conditions and Data Security policies. Violators will be reported to Google Support for infringement violation of our hard work and research. This Oakland County Farmers Markets 2019 page is intended to be used as a guide. Oakland County Moms does not endorse these events. Oakland County Moms is not responsible for changes to event descriptions, event times or details being altered without notice or cancellations. See our Events / Activities tab for more events, activities and things to do in Oakland County and Metro Detroit, Michigan. Visit Oakland County Farmers Markets 2019 all this season!